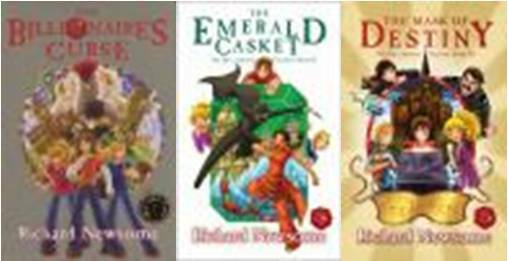 Has read the first and second books in the trilogy so far and "they are both really exciting." It’s about 3 kids - Gerald, Sam and Ruby. Gerald Wilkins becomes the richest 13 year old in the world. His great grandma, called Geraldine, dies and he inherits 20 thousand million pounds. He goes on an adventure to find the most valuable diamond in the world called Noor Gehan. He has an enemy called Sir Mason Green. It’s about a boy who moves in with his uncle because his parents have been kidnapped. At his uncle’s house he finds 99 cupboards on the wall. His grandpa had died the year before. His grandpa’s door is locked and won’t open. The cupboards lead to different worlds. 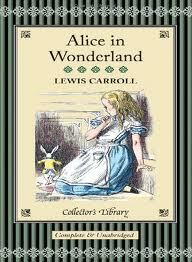 A good easy read. Really good. It’s about a boy called Nick and a game called Erebos, which is going around the school. Nick becomes addicted and sometimes the game asks him to do things out of school. It is really cool, you don’t know what’s going to happen next. You only get one chance to play the game, and he gets kicked out of the game. There is artificial intelligence and aliens. Exciting. Still enjoying it. It's about Bella who is getting hunted by Victoria. Victoria is seeking revenge because her boyfriend was Victoria’s lover and her friend killed Victoria’s friend who wanted revenge on Bella. Edward and Bella make a deal that he will bite her soon. 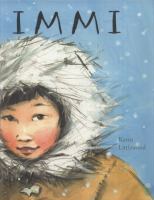 A girl named Immi lives out in the snow with no one around. She breaks a hole in the ice and goes fishing for supper and ends up pulling up a little wooden bird and she has never seen anything as colourful. Immi takes the bird home and connects it to her necklace. She puts the line down again and gets a flower and takes it home to her igloo. Her family gets a new butler who does weird things like looking closely at toast like he is examining it. All the furniture gets stolen and they keep getting hang up calls. They get given a code over the phone and she gets invited to go to a secret agency. She passes the test and becomes a secret agent. The agency’s main rule is “don’t blab”.